Road Riders brings a new twist on what you’d normally expect to hear from a motorcycle. 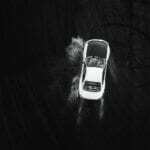 With a focus on capturing the unique sound of Ducati’s higher-end motorbikes, the 2012 Ducati Panigale and the 2011 Ducati Monster, these titans have a unique sound that can be used for many things beyond motorcycles, including spaceships, cinematic whooshes, and a variety of other sci-fi vehicles. We have also included loads of bonus material, from the whiz and whine of the 2012 Yamaha FZ8 to the grit, muscle and loudness of a chopped 2001 Honda Shadow. Road Riders was recorded on location in Québec, Canada’s open country roads in 24bit/96kHz HD stereo. 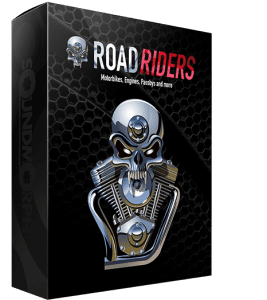 Featuring over 1.7GB of recordings and over 500MB of designed pass-bys and sound effects, Road Riders gets the job done quick and dirty, and adds a layer of raw power to any production.